The STS-118 flight of the Space Shuttle Endeavour will be the first spaceflight of an Educator Astronaut, mission specialist Barbara Morgan. STS-118 is also an important step in the ongoing assembly of the International Space Station. It’s not enough to just come up with a creative design. 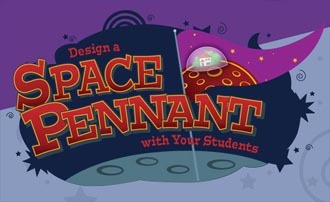 Students must research their topic, and use what they learn to design their pennant. Then, they must write essays explaining their designs. The essays must tell how the pennants reflect the research about STS-118 or the Vision for Space Exploration. Entries are being accepted now through April 10th by students ages 6-12. See NASA’s official announcement for details.